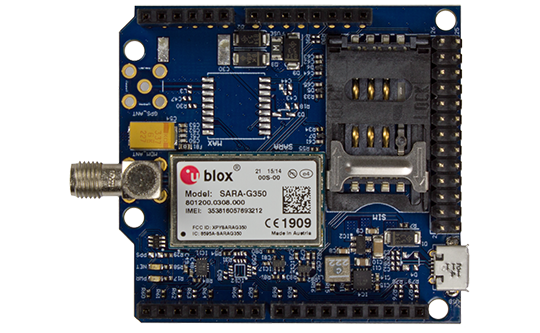 The Cellular Shield lets you get up-and-running quickly with IoT applications and general M2M applications. The shield is built around u-blox excellent, high-quality modules. The on-board power supply needs external powering (5-12V DC / 1 Amp). Can be supplied via micro-B USB connector, Arduino connectors or RPi connector. The on-board connectors (Arduino shield pinning and Raspberry Pi expansion connector) are very easy to use also for custom boards.